KATHMANDU - POKHARA. BOOK TOURIST BUSES IN 3 MINUTES. Book and pay online, get your ticket by email. High standard tourist, all with A/C and Wi-Fi, so you can relax all the way. leaves every day at 06:30am from the Tourist Bus stand. leaves every day at 06:30am from Sorakhutte Taxi Stand. Pokhara - This lakeside city has spectacular scenery, adventure activities, and a variety of accommodation and food choices. It's a great place to relax with a view of the nearby snowy mountains. Annapurna Circuit - Pokhara is the gateway to maybe the most famous trek in the world, and certainly one the most spectacular ones. Spend anywhere between 16-28 days circling this Hamalayan peak, visiting Manang, Marpha and many other beautiful villages along the trek. Kathmandu - Endlessly fascinating, this city is a riot of sights, sounds and smells, which will leave you intoxicated. Visit the temples or roam the hectic streets of the Thamel, either way it won't leave you indifferent. Q: Do you have hotel pick up ? A: No, the bus leaves from the stations mentioned above. Q: Who operates this ride? 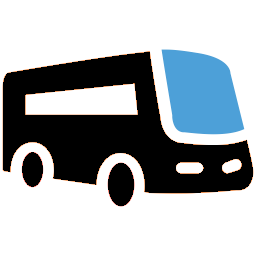 A: Tourist buses are Global Vacation Travels & Tours Buses. A: Yes, there are a few stops for food and toilet. Q: Can I change or cancel my booking later? A: Yes. as long as you notify us at least 48H in advance. Cancellation is subject to a %5 cancellation fee. Nepal buses is part of Bookaway, an online travel brand which is dedicated to bridging the online gap for local tourist suppliers.